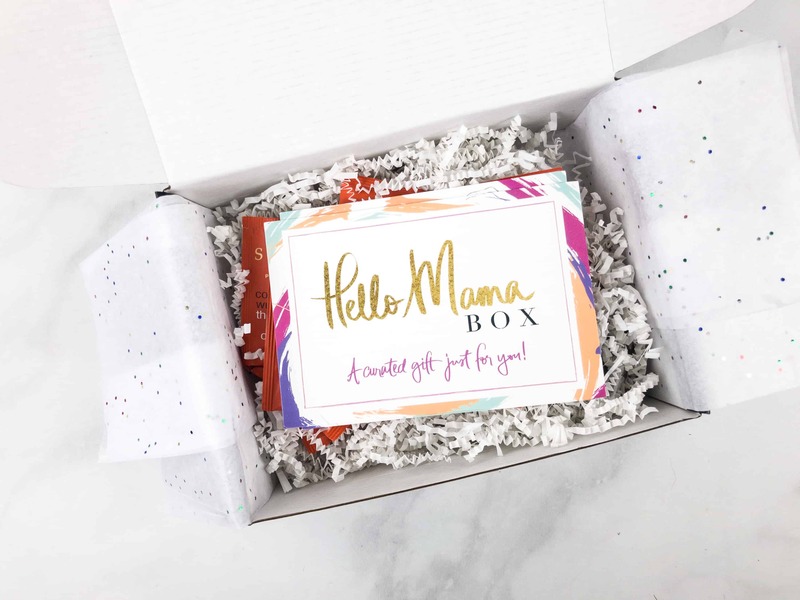 Hello Mama Box is a monthly subscription box for mothers, which encourages them to replenish naturally at every stages of their journey by creating a weekly self-care routine. The box provides 3/4 full-size or travel size bath/body/beauty products, affirmation/motivational cards, functional gift, and a box of tea. The box costs $49.99 per month. Boxes ship at the 10th of every month, and shipping is free! They have some nice savings on long-term subscriptions – down to $30 per month on an annual subscription. DEAL: Get an additional 5% off your purchase, on top of the 25% off sitewide! 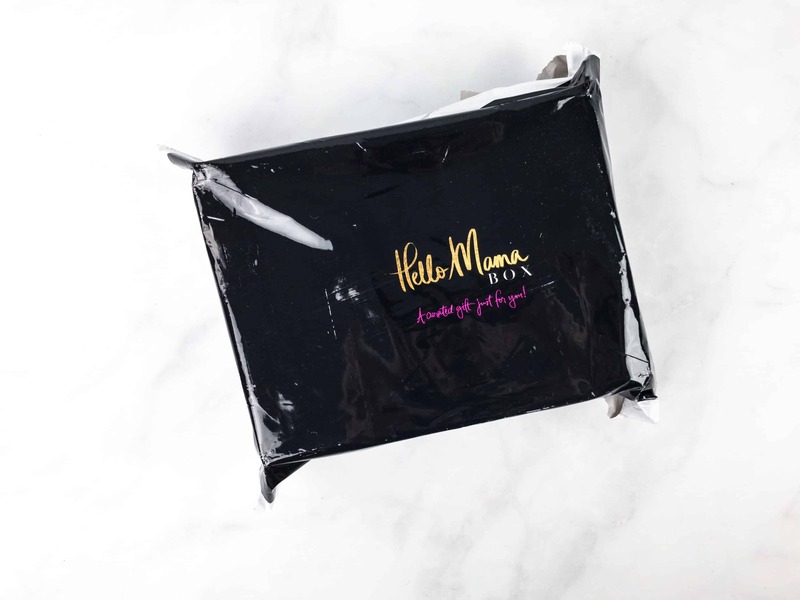 Use coupon code HELLOMAMA. 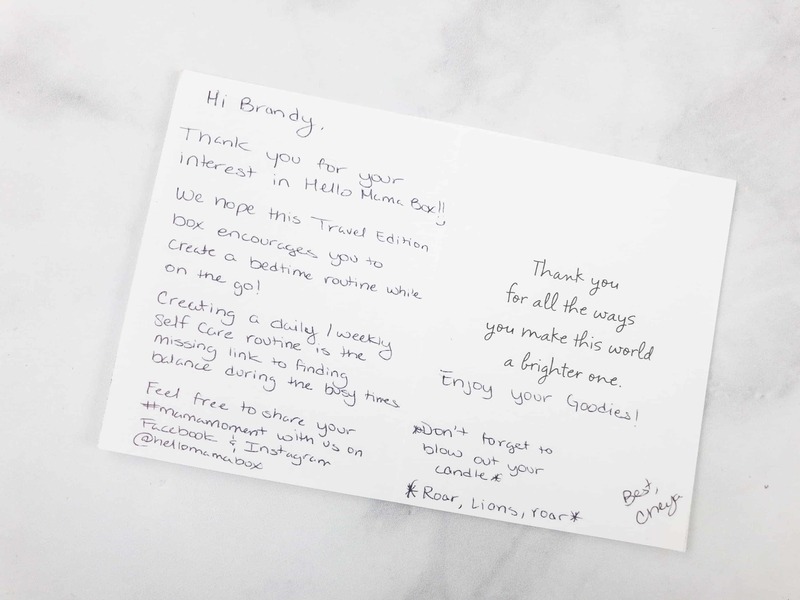 Handwritten notes add a personal feel to the box. 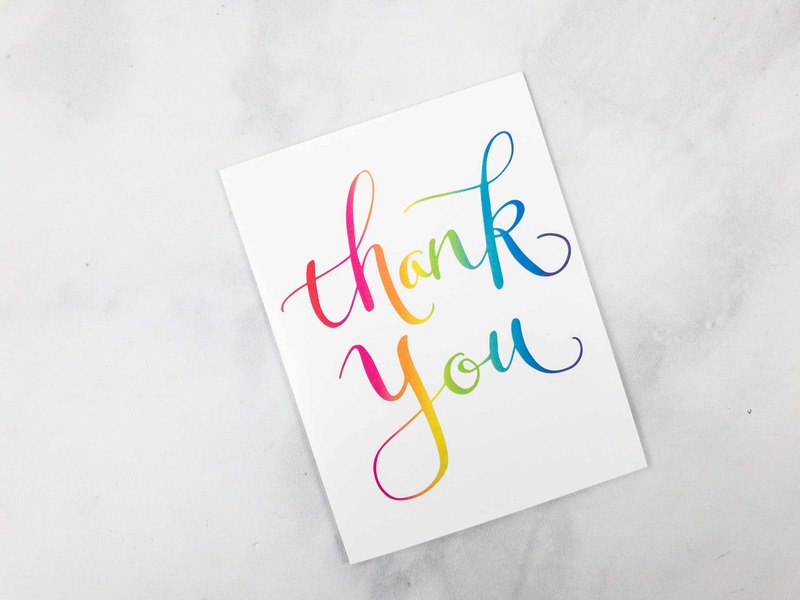 …and an even longer note inside it. This month is the Travel Edition box! The box has lots of squiggles in it. And there’s a stash of tea when I took off the card. The card looks pretty, I love the design! 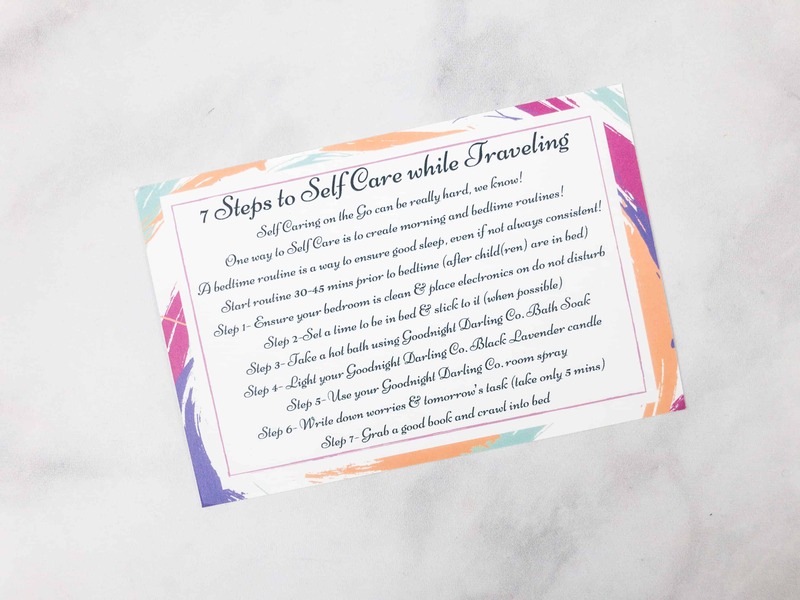 At the back of the card, there are steps and tips for self-care while traveling. 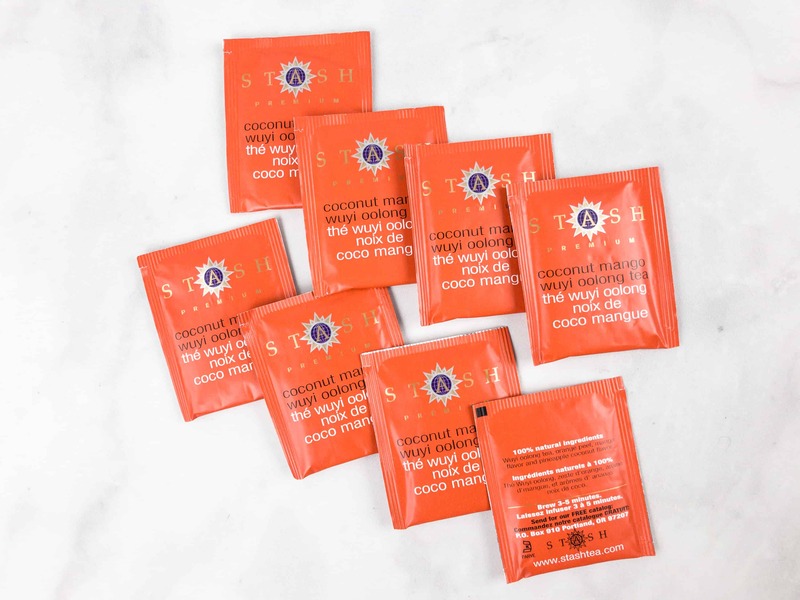 Stash Premium Coconut Mango Wuyi Oolong Tea ($1.41) I got 8 bags of Oolong tea with sweet coconut and rich mango flavor. I am not really a fan of tea so I had to pass it on to a friend, and she loved the relaxing and calming tea. There was enough tea to make any aficionado happy, but not too much to make non tea drinkers cranky. 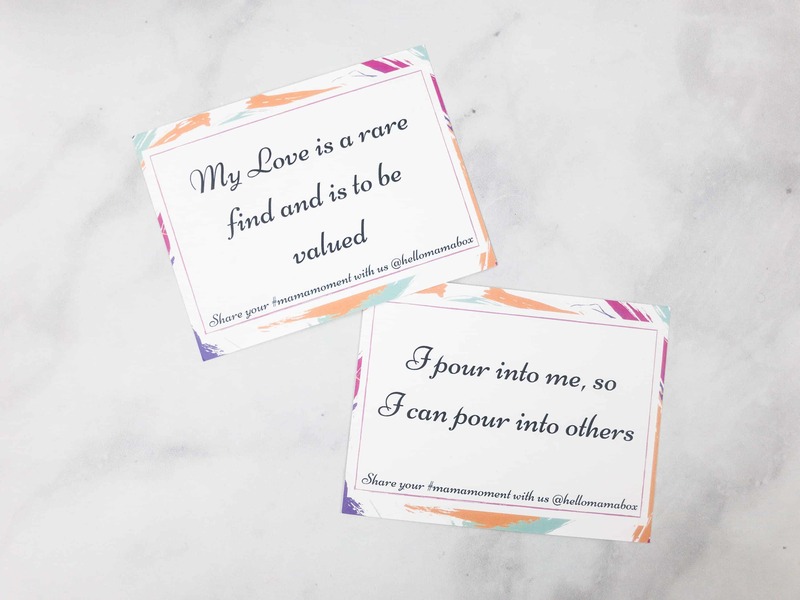 Affirmation/motivational cards There are two cards which you can keep for yourself or pass on to others. Spiral Paper Stands These spiral stands can be used to hold the set of cards from this box, or any other card you wish to put on display. They look nice as they hold the cards really well. It can hold a picture too. This would be great for decorating a minimalist space. 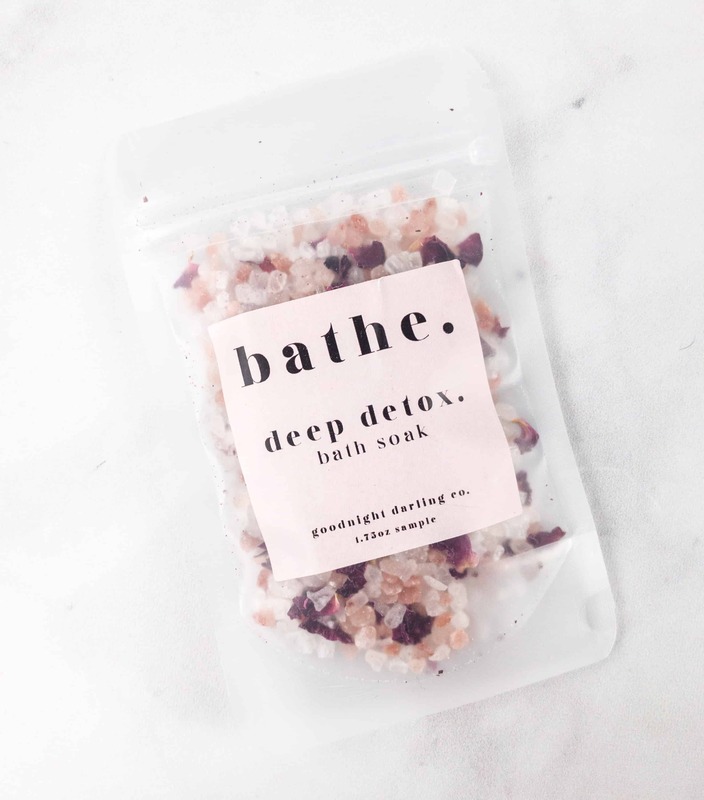 Goodnight Darling Co. Bathe Deep Detox Bath Soak ($5.50) This bath soak is made with dead sea salt, rose petals, Himalayan pink salt, and essential oil blend of eucalyptus and lavender. 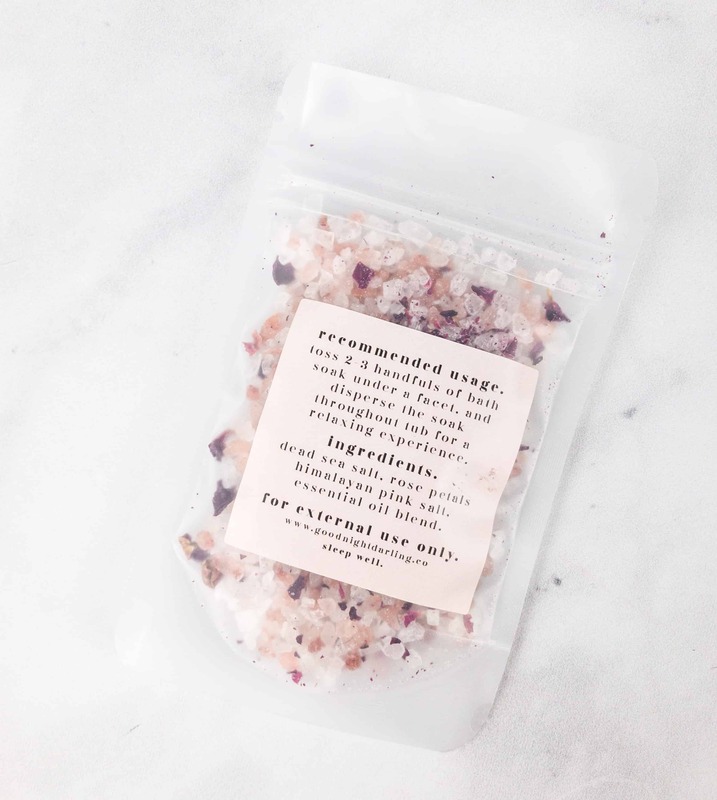 Two to three handfuls of this bath soak is enough to make a relaxing bath. It has soothing fragrance that induces sleep, plus it leaves the skin soft and nourished. It’s also vegan and cruelty-free. 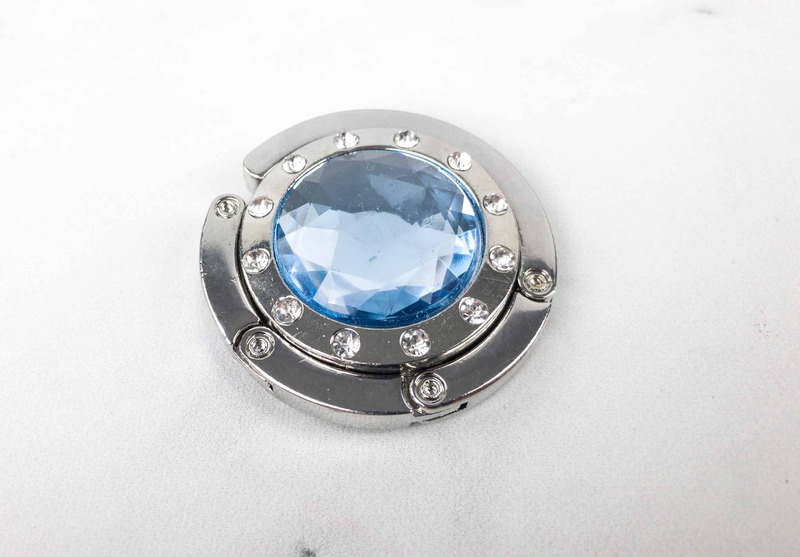 I found it hard to use because it’s so danged pretty. Goodnight Darling Co. 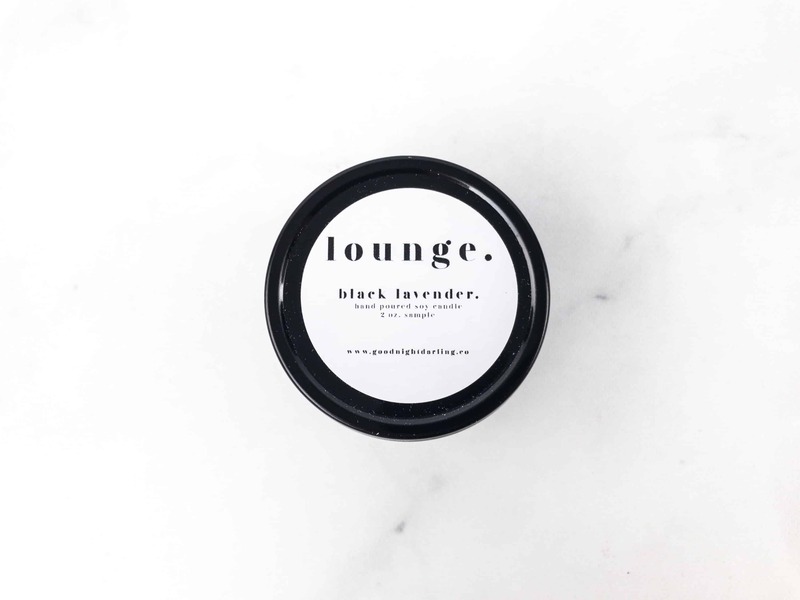 Lounge Black Lavender Hand Poured Soy Candle ($9) Perfect for the bedroom, this hand-poured soy candle has a warm and relaxing scent with notes of lavender, vanilla, and amber. The candle can burn up to 60+ hours. 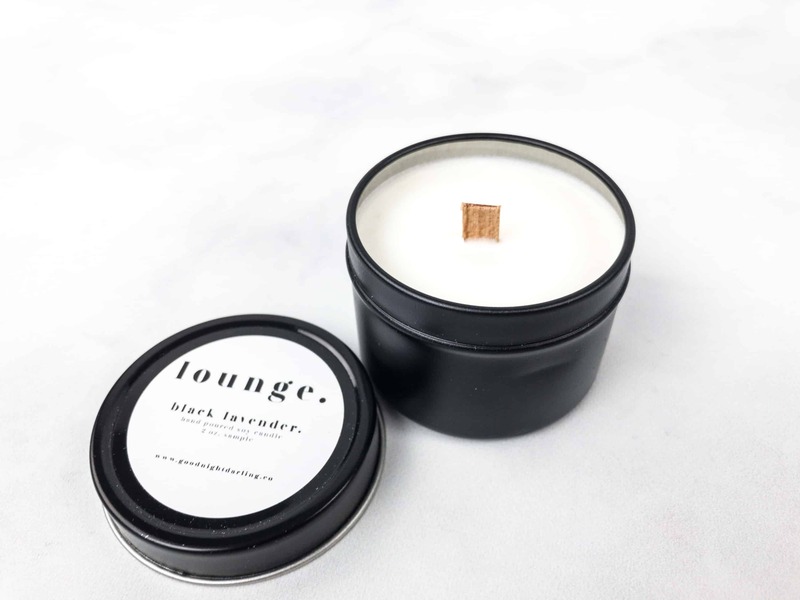 It’s also phthalate-free and has a wooden wick. Goodnight Darling Co. 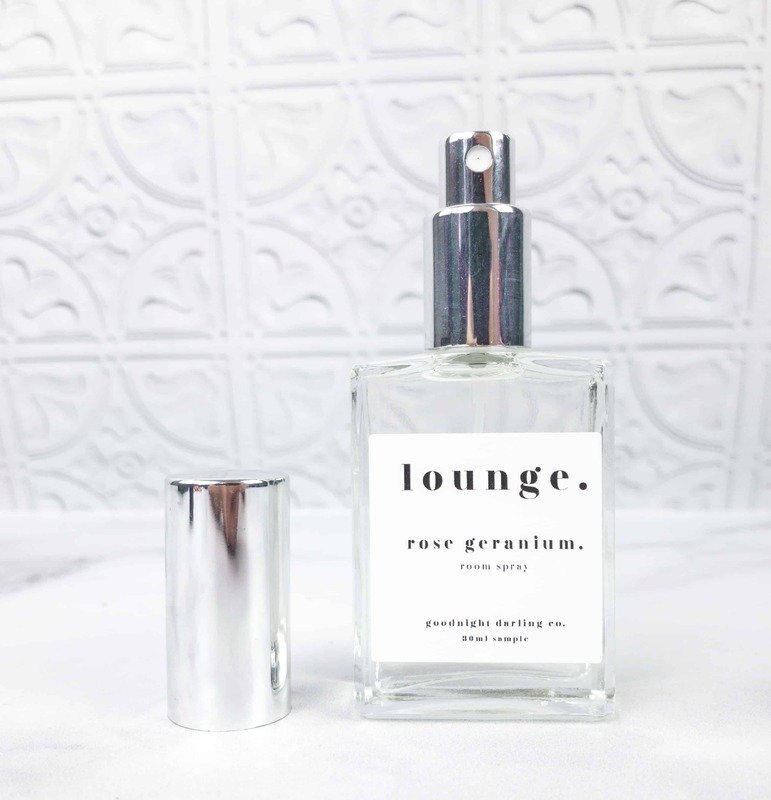 Lounge Rose Geranium Room Spray ($15) For those who are not a fan of candles, this room spray makes a perfect alternative. You can simply spray this throughout any room as desired. It’s refreshing rose and citrus scent is also perfect for the bedroom. It’s great because it doesn’t stain fabrics and it doesn’t contain any toxic ingredients. Bag Hook Holder This bag holder can be attached to various surfaces. 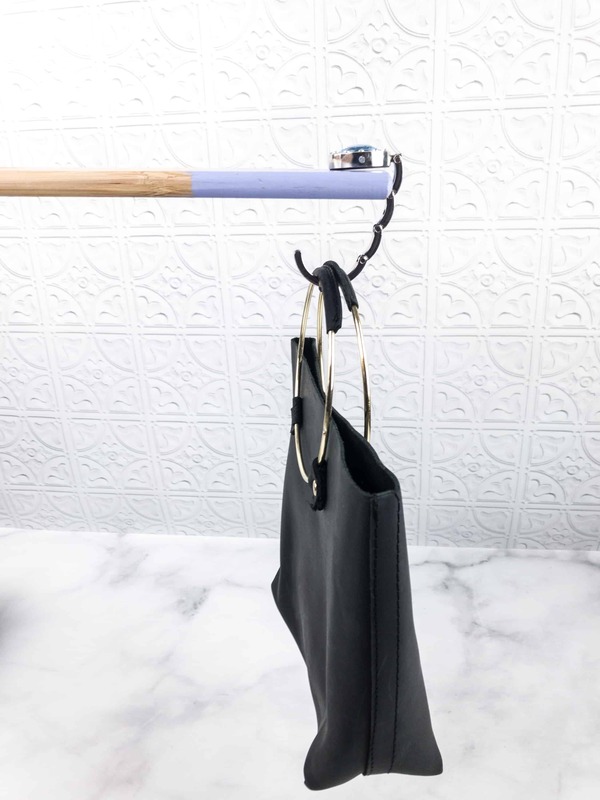 It makes it easier for you to keep your bag conveniently and safely stored. I tried using it and it carries/holds my bag perfectly! I love that it’s portable too! Hello Mama is definitely a centering experience! 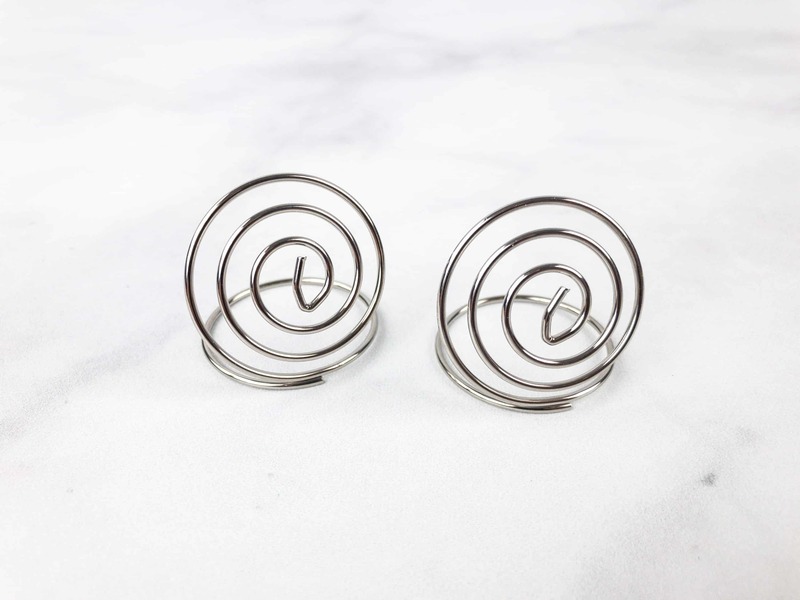 It contains items that helps hardworkingmoms to relax after a long day of work, whatever that may be. 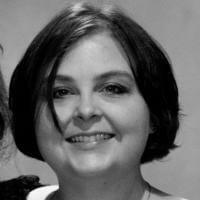 I love the bath soak, candle, and room spray, they are all nice and relaxing. I am not really a fan of tea, but I know that there are many moms who love drinking tea to slow down. If you’re a busy mom, a box of treats is always a winner. 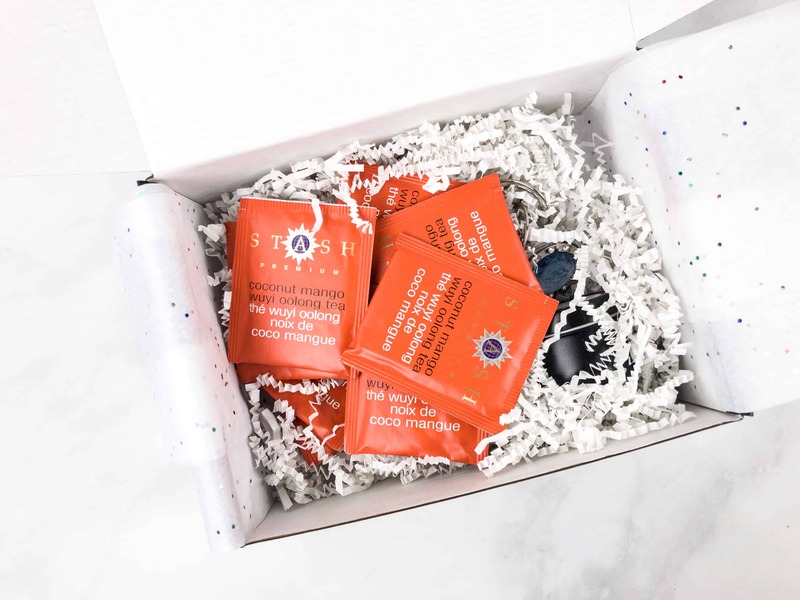 I think this box is a better deal on the longer-term subscription price but I see them partnering with some really great natural beauty brands, including in April, and I think this subscription is showing a nice evolution. 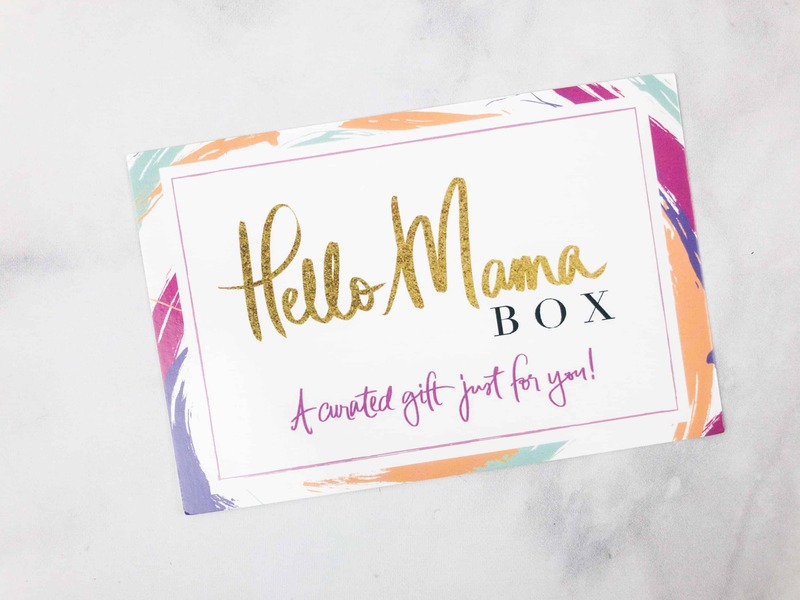 Visit Hello Mama Box to subscribe or find out more! I agree that the bath salt is almost too pretty to be used. I received it in a different subscription box and had a hard time persuading myself to use it. Of course, it provided a wonderful bath experience.